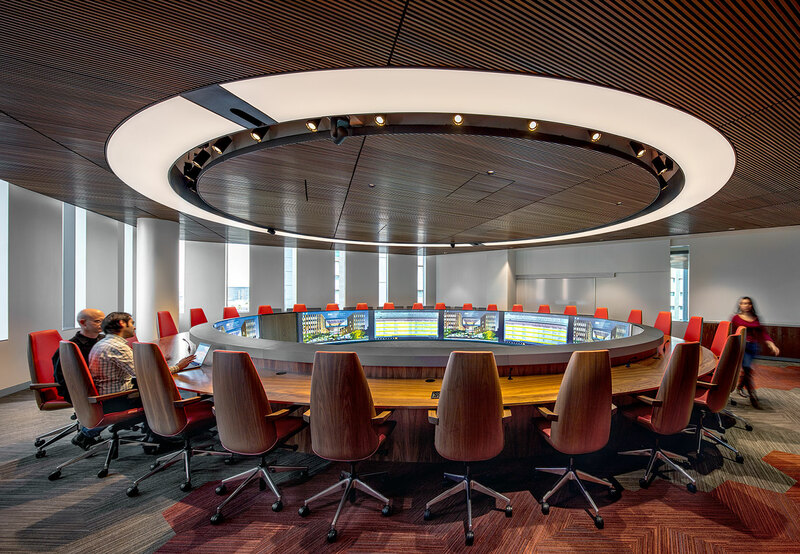 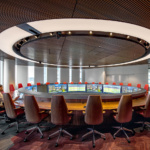 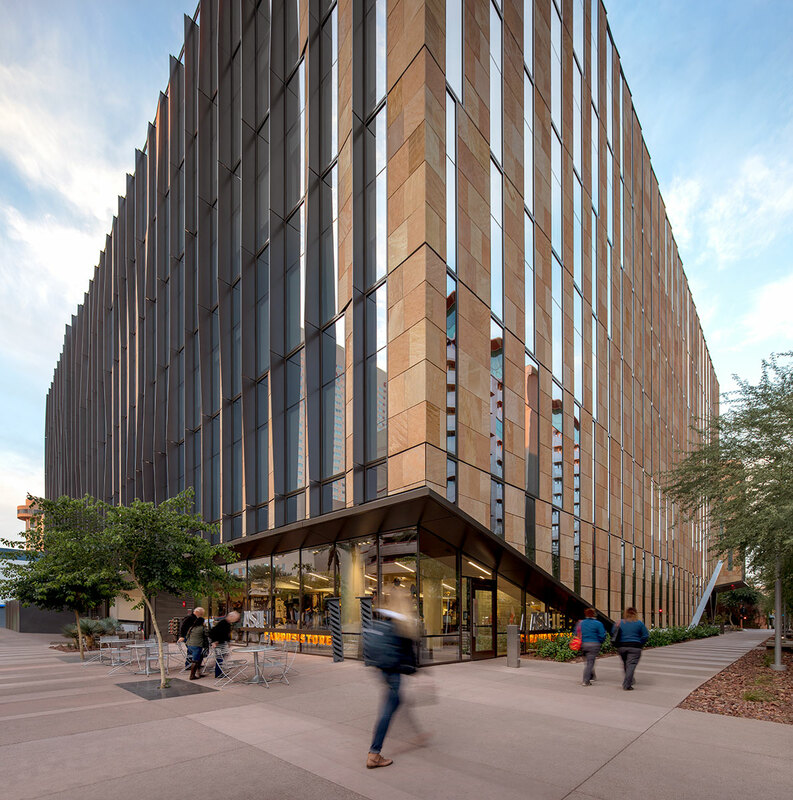 The Beus Center for Law and Society (BCLS), the new home to the Sandra Day O’Connor College of Law at Arizona State University, reimagines the traditional law school as a public building. 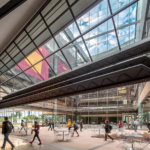 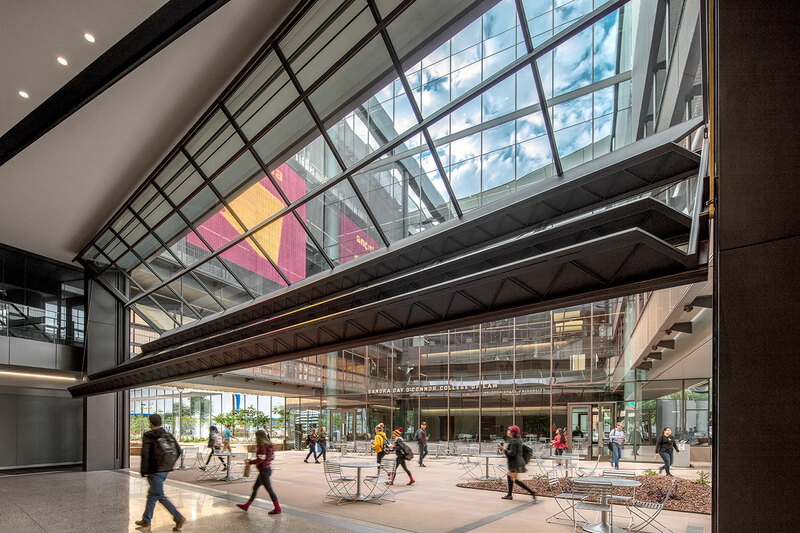 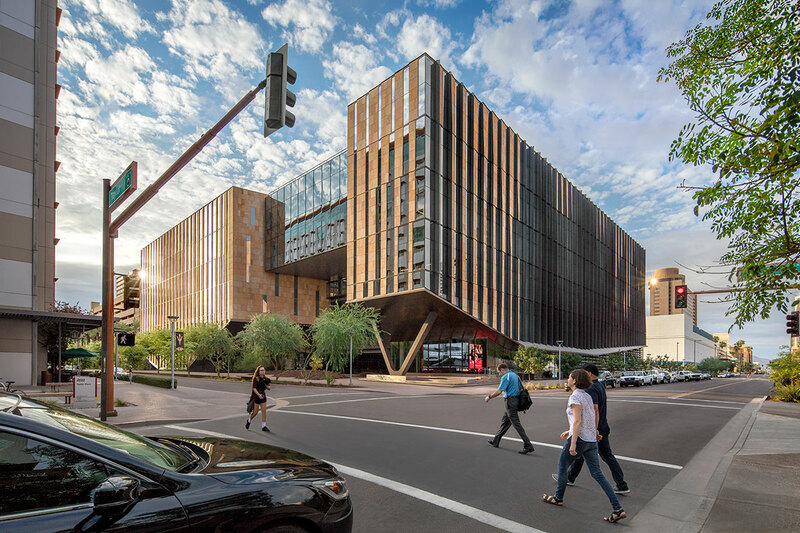 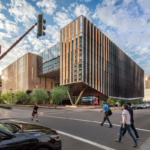 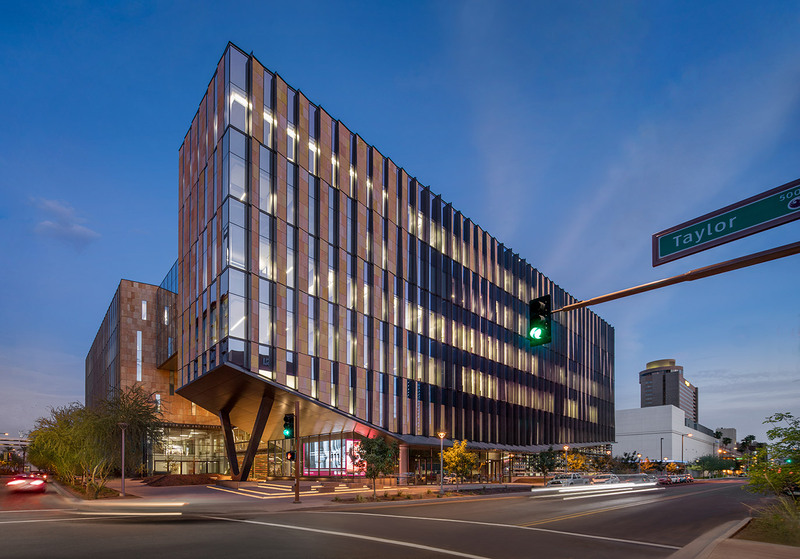 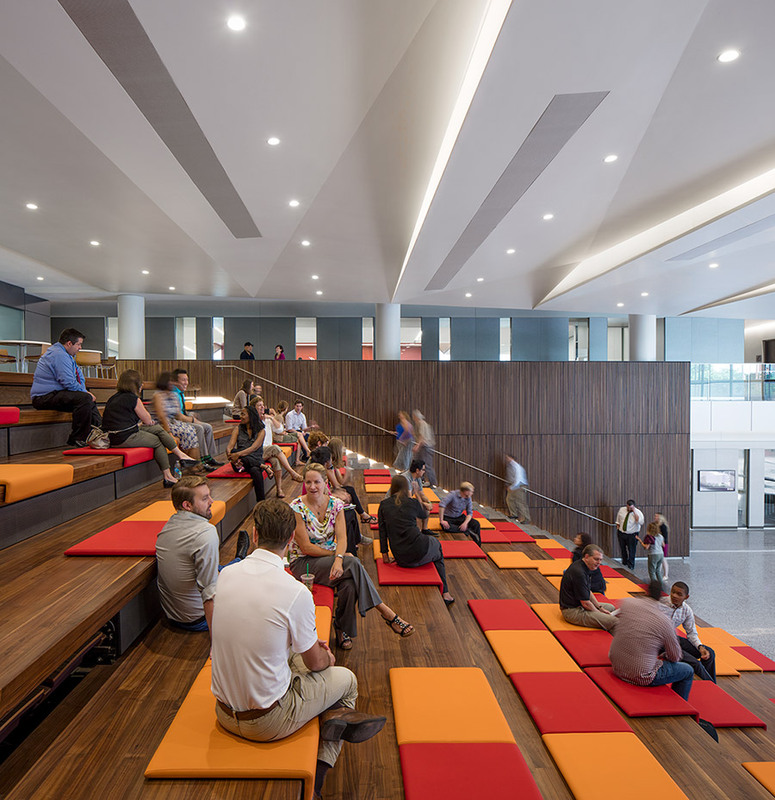 Located at the heart of ASU’s Downtown Phoenix campus, the design embodies the law school’s transformative pedagogical approach to legal education, which stems from a deeply rooted commitment to educating students and citizens on the importance of the law in shaping society. 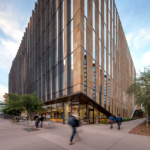 The building’s permeable courtyard massing, with a north-south pedestrian slice through its social core, invites all into the heart of the institution, exposing the public to its three grand double-height communal spaces: the Great Hall, the Law Library and the Law Courtyard. 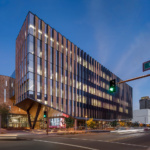 The purposefully blurred line between public and private creates a unique urban environment aimed at encouraging vibrant connections between the College of Law, the network of downtown legal professionals, and the larger Phoenix community.